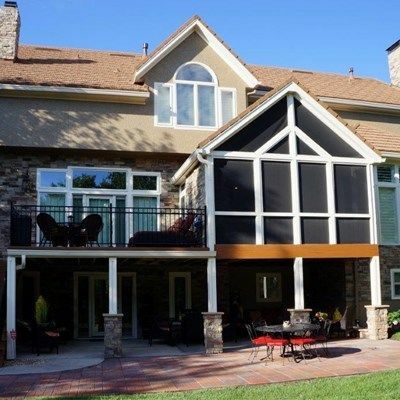 Gable screened porch with uncovered deck area. 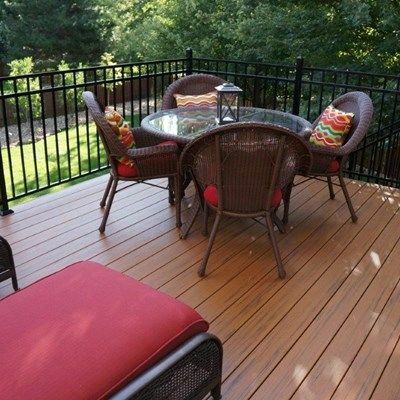 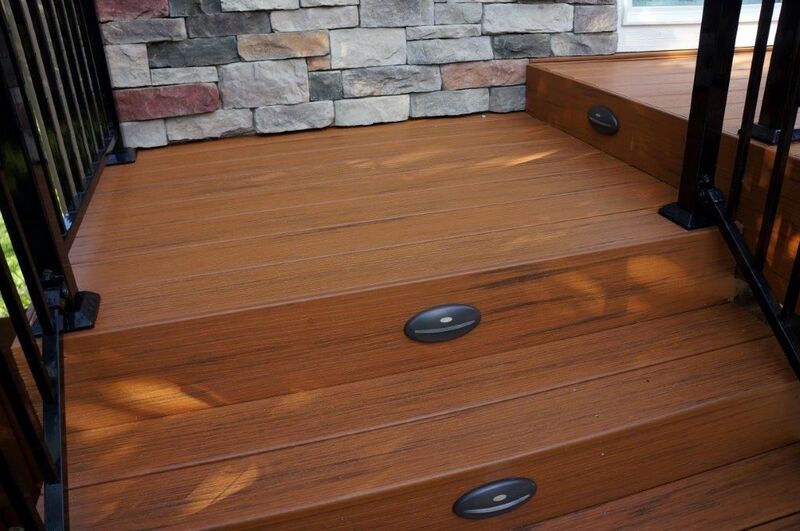 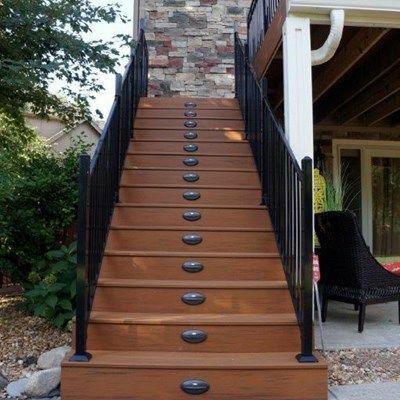 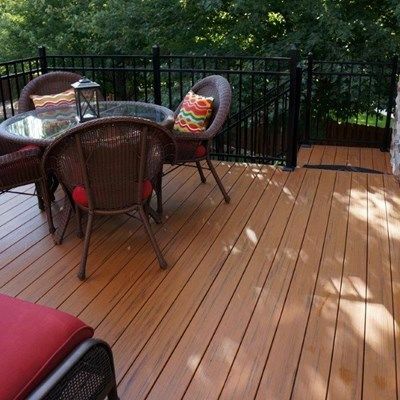 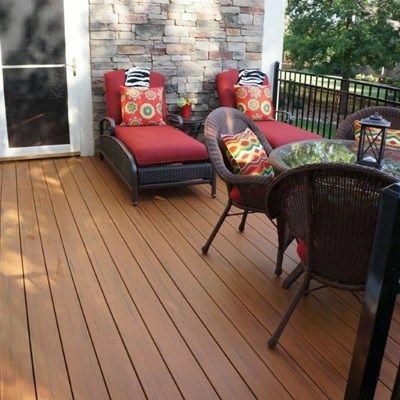 Decking is TimberTech Evolutions Decking in Teak and Railing is Fortress. 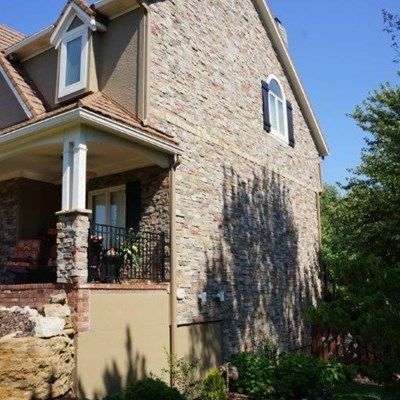 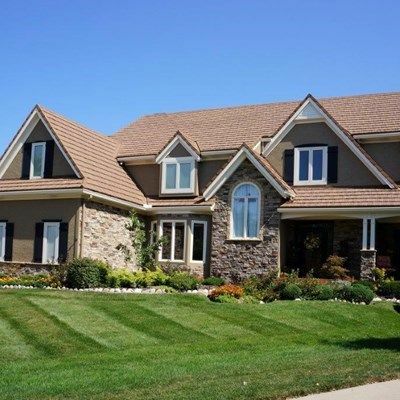 Gas stone fireplace was added to inside of porch along with stone columns and stone throughout house.